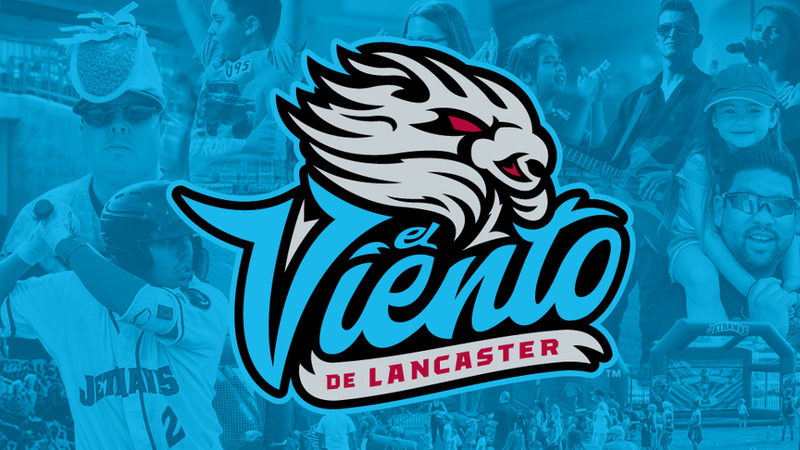 Lancaster, CA - March 18, 2019 The Lancaster JetHawks announced today that they will become "El Viento de Lancaster" for ten Friday night games throughout the 2019 season, as they celebrate local Hispanic and Latin culture in the Antelope Valley. The Friday night games will include free activities for kids, taco trucks, music, dancing and more as part of Minor League Baseball's Copa de la Diversión program, and in partnership with High Desert Medical Group. The Copa program began in 2018 as a way for Minor League Baseball to celebrate Hispanic culture and heritage, and to pay tribute to the many Hispanic baseball fans throughout the entire country. "El Viento" is the Spanish translation of "The Wind", the defining weather element of the Antelope Valley. Often overlooked by many teams at The Hangar, the wind has the power to turn doubles into home runs, and home runs into outs. "The El Viento de Lancaster initiative is our way of celebrating the Hispanic population of the Antelope Valley," says JetHawks Executive Vice President Tom Backemeyer. "We want to truly make it a memorable experience for every fan that walks through our gates." The full promotional schedule can be found at elvientodelancaster.com. Single game tickets are also available at elvientodelancaster.com, or by phone at 661-726-5400.